Spring is in the air, and with it comes rain and sunshine, and we all know that that means Rainbows. 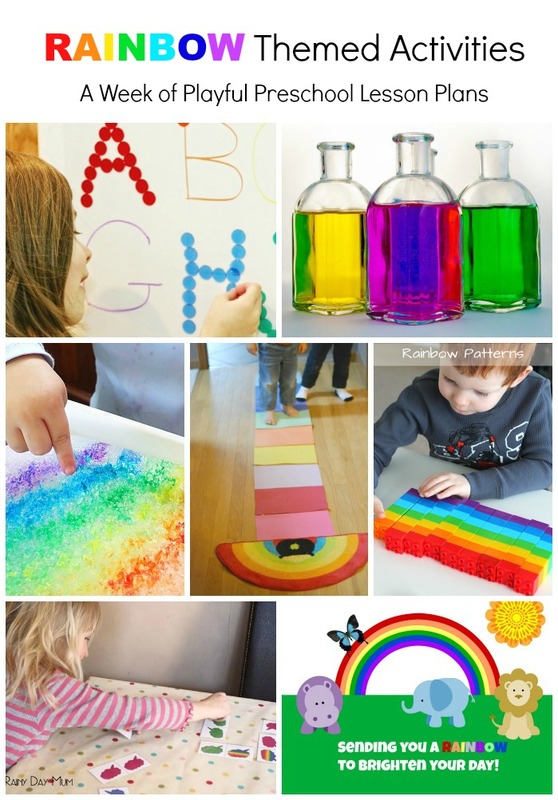 So that’s why this week’s #PLAYfulpreschool theme is all about Rainbows. Last week we did some rainbow baking and made rainbow candy crunch cookies which are now a much requested after school treat for the kids. 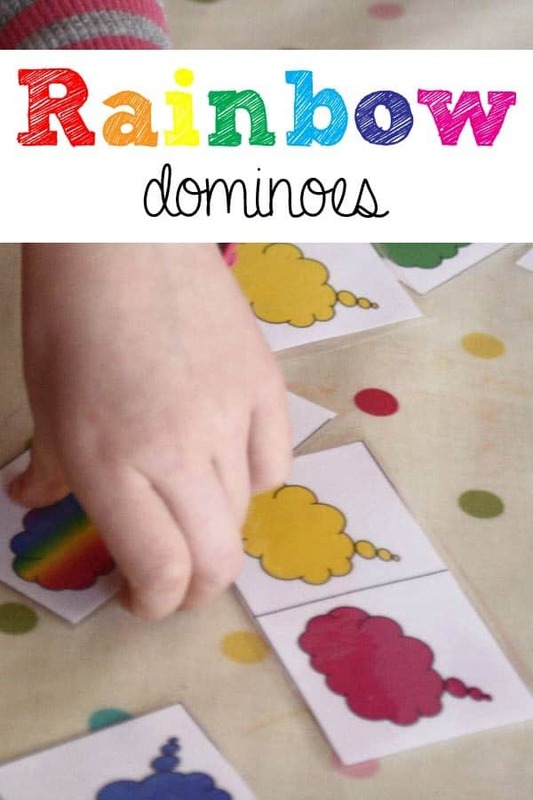 To go with the rainbow cookies, and to work on some skills and knowledge we’ve got a Rainbow Domino Game for you to make and then play with your preschoolers. Playing games with older siblings or with you as parents can help young children to learn about taking turns, sharing, how to lose gracefully as well as winning with grace. Whilst working on these social skills, you can also incorporate learning elements. A traditional domino set with dots is ideal for working on counting and recognition of number patterns but there is no reason why you have to restrict yourself to those. 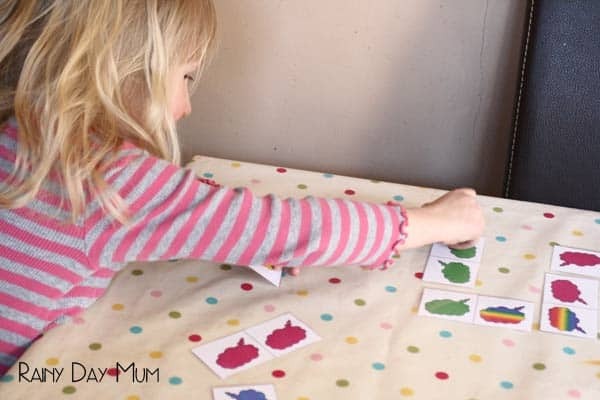 We’ve produced a printable of our rainbow domino set so you can print it off and have a different version of the game which works on colour recognition. 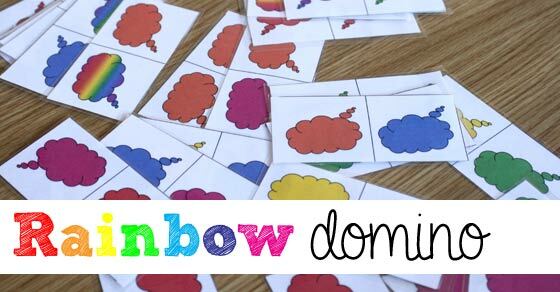 Print out the Rainbow Domino Cards from the download link and then cut up. We always start by sharing out the dominoes equally between us, working on one for you, one for me etc. 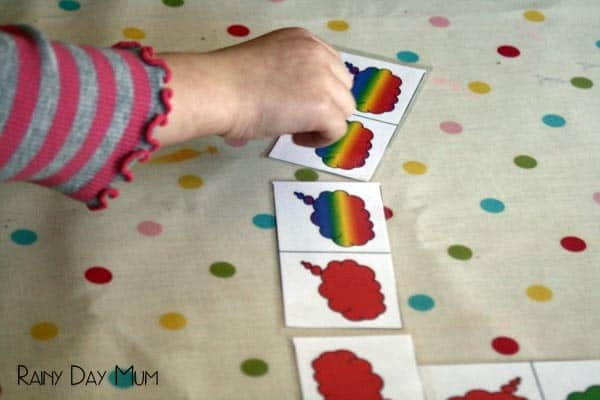 We talk about having half or a third of the cards so that even when the kids were very young, language of fractions was introduced with the concept of dividing a number. With the dominos shared, we place a double in the centre of the table and then took turns to say the colours that we needed to match to continue and placing them in. The Rainbow’s were a great addition as we worked on remembering the order of the rainbow colours and singing all the rainbow songs that we know. What a great printable for learning colors! Thanks! Great activity! Thanks for the printable too! I love this idea. Thank you for the fantastic printable game! We will have to try it. My kids found some dominoes the other day but they were a bit too tough for them to figure out. This will be a perfect activity to bridge us into the real ones. Thank you! 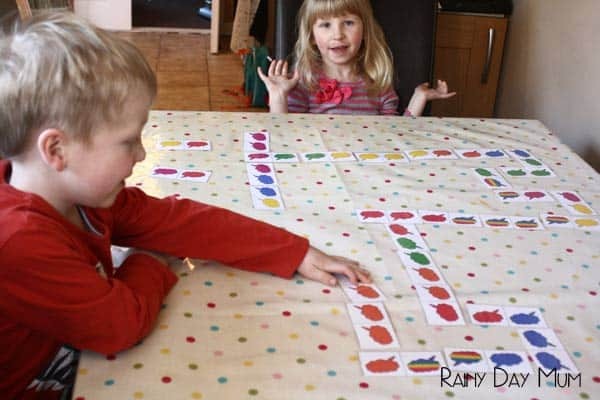 My daughter loves dominoes and these rainbow printable dominoes are absolutely cute!